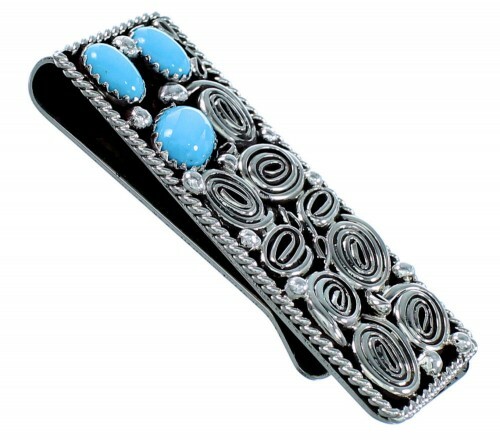 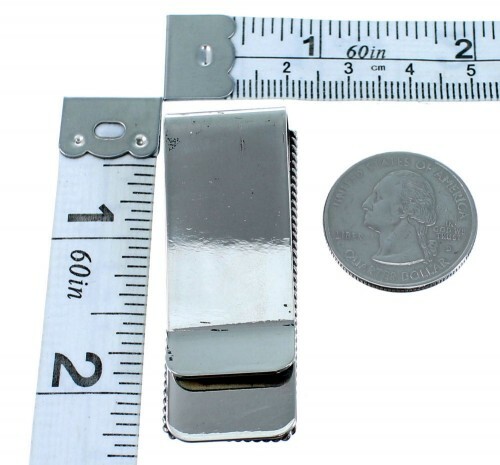 There is nothing at all average about this beautiful money clip! 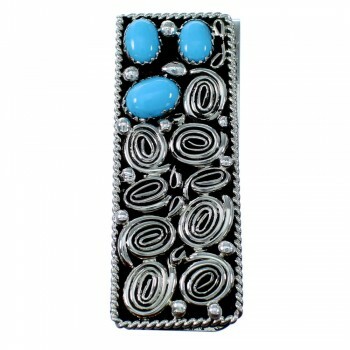 This piece of Native American jewelry is Navajo hand crafted by artist Genevieve Jones, out of genuine sterling silver and man made Turquoise stones. There are a total of THREE stones that are carefully set in hand cut bezel settings, while twisted silver, mini silver beads, and hand crafted silver work highlight the money clip for an extraordianry finish.